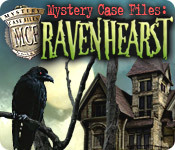 Mystery Case Files: Ravenhearst ® is rated 3.6 out of 5 by 160. Rated 5 out of 5 by MCF_Huntsville from Before Ravenhearst Was a Buzzword Oh, do I sound too sarcastic? I’m sorry. It’s just that the new Ravenhearst games are…not the same as the old ones, to put it mildly. Right off the bat, know that if all-HOS games aren’t your thing, don’t even consider this one. Alternatively, if difficult puzzles leave you wanting to kill someone, this is also not a title I would recommend for you. Needless to say, however, this game definitely deserves a five-star rating, and it’s easy to see why. However, I’m going to break with tradition and say that my all-time favorite games in this series are *not* the Ravenhearst titles. (Sorry to all the five-star reviewers who love everything about the Ravenhearst games.) This is still one of my favorite titles, but I feel that other games in the series are superior in some ways. 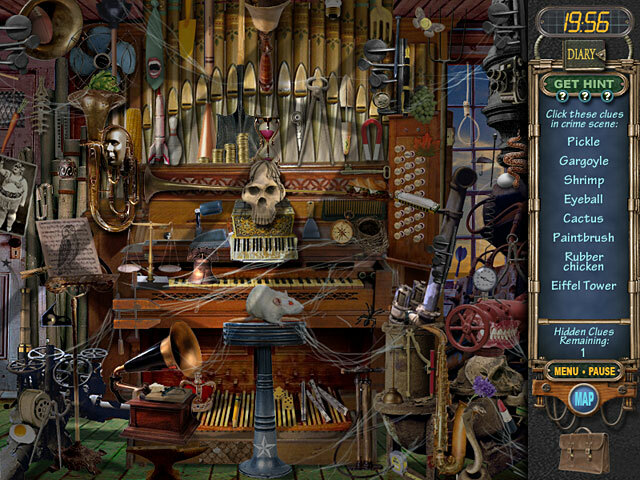 To be sure, this game was the first Mystery Case Files offering to feature dark themes in their games, but it was very mild, especially for the games that were yet to come. The storyline was engrossing, and, no, I won’t reveal any spoilers in this review. With the beautiful artwork, intimidating and unexpected sounds (so much so that I went to play in the presence of my siblings watching Dumbo the first time I played it), and head-scratching puzzle elements, I think anyone would be hard-pressed to give this game a bad review. That being said, the puzzle locks on the doors could be *way* too difficult at times. But don’t even think about skipping them—you’ll lose all remaining hints for the level and five minutes from the clock! A plus to this rather large downside is that this was the first game where you could choose between playing with less time (Master Detective Mode) or way, way more time than you need (Relaxed Mode). If anyone wants a decent, compact little Victorian haunted house experience, this is your go-to game. I wish that Eipix Entertainment, the current developers Mystery Case Files, would see that supernatural happenings are all fine and good, but it can be overdone. They should look towards this game as an example: it relied more on solving a perplexing mystery than on ghostly/magic gimmicks. The 2014-15 additions completely ruin the well-developed story set forth in this wonderful little game. As for whether you’ll enjoy it or not, I leave that up to you. For those about to enter Ravenhearst Manor for the first time, beware…you’ll enjoy it much more than you can ever imagine. Rated 5 out of 5 by gamesrgreatfun from Awesome Game! This is the first H.O. game that I bought here on Big Fish Games back in 2007. 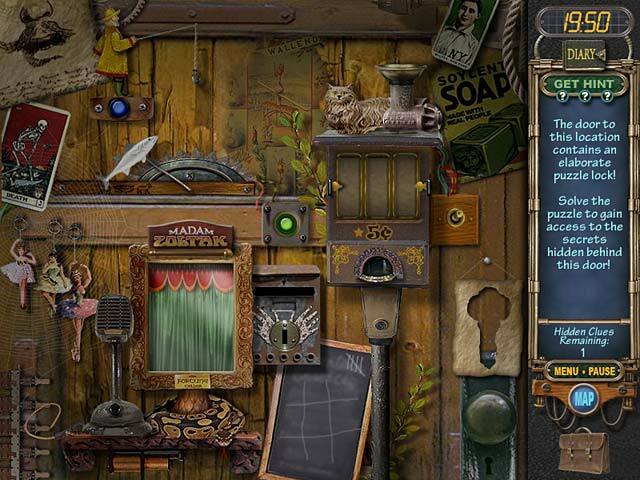 I became an avid fan of the genre and especially this series, Mystery Case Files after completing this game. I replayed this game recently after I bought the Mystery Case Files: Rewind game. I wanted to see how close they made the Rewind game to this original game. It is very close. This one is harder. I like this one because the H.O. lists are never the same, so If you have to replay a level when the time runs out, you are not going to be searching for the exact same list of objects! If you have never played this game and you enjoy puzzles, I suggest you give it a try. Be aware, however, that it doesn't play in full screen. At least not on my computer running Windows 10. In spite of that I still loved playing this game again! Rated 5 out of 5 by Lioness901 from I will play this over and over I just love this game way too much. The spooky sounds of thunder, the house creaking, and her voice really amp the creepy factor which I love. I love trying to solve the puzzles to open the doors for the different rooms. There's also lightning in this game at various times which I think is very cool. The storyline seems innocent at first but it gets creepier as you go on which I just love. Rated 5 out of 5 by J9CT from The Oldies Are The Goodies!!!! I played this game years ago but it somehow got deleted off my pc so I decided to buy it again recently. Even though I've played many HOG's with stunning graphics and big storylines this is a fantastic HO and puzzle game. Don't knock it because its old, its still a goodie!!!! Rated 5 out of 5 by Ripcean from Amazing Game I enjoyed this game immensely. The difficulty of the challenges was noteworthy. The sounds effects were too good and spooky, esp. during the last game where you had to pick the keys and the ghost of Charles would shout things at you. I must say I never liked Hidden Object games, but MCF Ravenhearst has changed my views. Looking forward to more games from Mystery Case Files. Can't get my mind off the series. Rated 5 out of 5 by catsrobe from Fabulous game! This is, without a doubt, hands down BEST game I've ever played! I've been a member for lots of years and have played all kinds of games. I think I played a Mystery Files game in the past. I'll have to look at my purchase history. The game is nice and long. There are puzzles within the HOGs. There are multiple parts to the puzzles and you can skip that portion if you want to. I'm playing in the regular mode and I've found it very difficult. I've had to take countless hints. I've been playing these games for years. By now you'd think I'd be at the expert level! Not so unfortunately. This game is a definite must!! I'm going back to my old purchases and see if I had more and download them again. Enjoy!!!! Rated 5 out of 5 by collink3 from best hidden object game good for any hidden object game lover. easily the best hidden object game. The history of Ravenhearst Manor is shrouded in mystery. 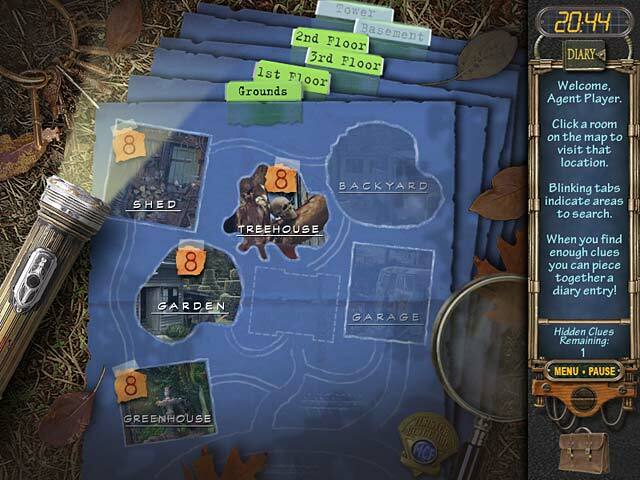 Unlock the secrets within this episode of Mystery Case Files™.